For Technology Guardian, Sept 14, 2006. Blake Krikorian is chief executive of Sling Media, which makes the Slingbox - a device that takes a TV input and then sends it over any network, whether in your home or to your hotel room in another city. He spoke exclusively to Kate Bulkley for Technology Guardian about UK sales, Apple's movie download service, and whether the company might get sued for what it does by irate subscription TV companies - or get bought by them instead. Kate: How did the Slingbox come about? Blake Krikorian: We are consumers like everybody else, and the idea behind Slingbox came because we were big San Francisco Giants fans and we simply wanted to watch our team's games while were in the office or on the road and there was no simple way of doing that. We looked around at internet and mobile services and we found that the vast majority of them are charging us additional monthly fees, but most of us have subscription fatigue already because we are already paying quite a bit for our Sky or Comcast or whatever home cable, and most of these internet services don't actually offer you what you're looking for and they don't equate to what your home TV programming is like. The TV in your family room is what you've learned to expect, so we thought we are already getting content at home that we love. And we have a DVR [digital video recorder] which is a lot like a Sky+ box, and we wanted to be able to watch our home TV on whatever particular display I happen to be sitting in front of, whether it's my laptop or my mobile phone. Kate: So how does it actually work? Blake Krikorian: The Slingbox is a small box shaped like an oversized chocolate bar and it's available on the high street now in the UK. There is no monthly fee and you put this box in your home connected to your Sky+ box or your NTL cable box. It takes in the TV signal and re-directs it out over the internet via an Ethernet or home wireless connection to a PC or a mobile phone on which you've downloaded the Slingplayer software. It gives you full control of your TV experience on whatever display you happen to be at. Kate: You didn't get started that long ago. Has Slingbox captured people's imaginations so quickly? Blake Krikorian: It's been amazing because Slingbox is a completely new product category, a new concept for TV viewers and we have done absolutely zero marketing. We launched in the beginning of July last year in the USA in over 1,000 CompUSA and BestBuy stores, something that had never been done before. By September, we went up to 3,000 stores and we virtually sold out the product in a few days. In the first six months we sold over 100,000 units. Kate: You launched in the UK at the end of May; what's different here? Blake Krikorian: TV is a ubiquitous desire, but it is slightly different in Europe, so we re-architected the Slingbox for this market. There is only one piece of silicon inside the Europe Slingbox that is similar to the US version. It's a PAL box, but we have also inserted a DVB-T (DTT) tuner. So all you have to do is add an aerial and you can sling your Freeview channels and/or you can connect it to your Sky or cable box and sling those channels as well. After the first three weeks in the UK stores, we had completely sold out. We had expected that supply to last to the end of the year. Kate: So how many have you sold? I heard the shelves were empty in some stores. Blake Krikorian: If you look at it on a per-store basis, we are far above the US sales. There is no doubt Slingbox will sell in the tens of thousands of units this year in the UK. Whether we get over a hundred thousand, we'll see. We have now caught up with the supply and when I was in London this week, it was good to go into PC World and see Slingboxes on the shelves. Some of the sales guys I talked to said it's been one of the best new product launches they've seen this year in terms of consumer response. Kate: How do you think the wireless home will develop and how will Slingbox fit into it? Blake Krikorian: Over 40% of the usage of the Slingbox today is around the home. Many people are getting laptops and they are just slinging their television from the living room to another room in the house. So if they're in the kitchen, they take their laptop and can watch a food show while they're cooking. It's like a wireless television. The other thing people like to do is sling their Sky+ programming around the house. This is one of the things my wife likes to do. She might start watching a show in the family room, but then move with her laptop up to her office and continue to watch the show. Right now we distribute over the home wireless broadband network to a laptop or mobile phone. What we don't do right now is sling to another TV set, but we've had a lot of requests for a mini-Sling receiver that could just plug into the other TV sets in the house so we could sling programming from the main set to another set. That could be a logical extension of our product line. Kate: Apple announced the launch of its movie download offering this week. What do you think about that? Blake Krikorian: This is how we see the world: people love their living room TV programming and they want it more and more on their terms. More and more consumers are spending time in front of displays other than their television sets and the number of displays are increasing. Nowadays during a day, you'll look at four or five different screens. So wouldn't companies like ourselves and Apple try to use these screens? We decided, isn't it just cool to take your home TV and make it a seamless experience across all these displays. The last thing I want is X type of content on one display and Y type of content on another display. People want the familiarity right down to the channel line-up. So, for me, I know that Comedy Central in the US is channel 249 and I can bring that up with a Slingbox on my phone or on my PC. Whereas with another device, I might not be able to get it or I might have to pay somebody else to get a clip of it. We welcome other products that have open internet connectivity, but the only thing that you can hope with a company like Apple is that they won't continue to be proprietary and continue to not allow inter-operability. People are expecting convergence and that means all my stuff starts to work together. But unfortunately in our industry, we have companies who have incredibly religious technical beliefs or who are in constant battles with other companies and the consumer suffers. They have lost sight of what the consumers are looking for. We are trying to be a company that embraces and not replaces new products. That's why we sling to mobile devices as well as PCs. It means you don't have to also buy a SlingTV and a SlingPhone and a SlingPC. I could probably make a more seamless experience that way because it would be all controlled under me, but I believe in the future it won't be just one company that provides all that. People want choice and if we can be the company that provides that, then that in itself can be a different form of proprietary. Actually, by being the most open system can end up being a core differentiator and that is something we're focused on. Kate: Are there more devices that you'll be slinging to in the future? I'm thinking of an Archos, a video iPod or other PDAs. Blake Krikorian: There are numerous companies showing us their new media-playing type of products that have connectivity in them. There's no question a Slingplayer on these devices could quite possibly be the killer app. Some of those existing media players have some challenges because it's cumbersome to get the content onto them. Even on an iPod, you have to sync it up to bring the content over. With the Slingbox, your TV is doing the refreshing for you. It's not like when you go away, you have to think about transferring files onto your portable media player. That takes organisation which I certainly don't have [laughs] and when the new shows come on the TV, I've already left on my trip. Today people expect instant gratification. So network connectivity is the killer app for these devices, but only if it lets you get to your content wherever you are at the push of a button. Kate: You've started as a hardware company selling the Slingbox, but recently you've signed a deal to put your software into somebody else's box - is this the future roadmap? And, if so, when will we see your software in a Sky box? Blake Krikorian: When we started, we decided to focus on building out retail sales of Slingbox so that we wouldn't have any external dependencies on bigger players who might be too slow or have too much to lose. As it happens, you can see how strong a product this can be for cable or satellite companies because, with all this talk of triple play and quadruple play, when you look at it, what does a high-speed broadband service and a TV service have in common except a universal bill and maybe a discounted price? Mobile is the same thing. Slingbox is a type of product where it starts to make sense to get TV and high-speed data from one place because our product means you can get your TV anywhere. And if these operators get into a mobile space as well - like NTL has in the UK - this notion of fixed mobile convergence starts to make sense. So what you're going to see from us is partnership deals with pay TV companies and we've signed the first one with TVA in Brazil, a large cable TV company, and we've also signed a deal with Viasat in Sweden and the Nordic countries, a major satellite TV company. Viasat is marketing the Slingbox under its brand of Viasat Everywhere. In the mobile space, we haven't announced anything yet, but I think you'll see us doing deals outside the US first because, in many ways, mobile operators are a lot more innovative than we are in the States which is a sad thing for me, personally (laughs). 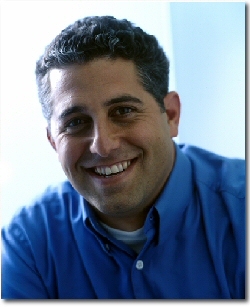 Blake Krikorian: Yes, we will support every device we possibly can [laughs]. Right now we support Windows and we're releasing the beta of the Mac client this week for the Slingplayer worldwide. Both of those clients are free; you can download them and install them on as many PCs or Macs as you want. We've also released the Windows mobile Smartphone as well as Windows mobile Pocket PC phone. Before the end of the year, we'll be supporting additional platforms. In the UK, for example, Windows mobile has had some success, but other OSs have had broader success, so it's important for us to be able to support those other platforms. Blake Krikorian: By the end of the year, there'll be at least two more OSs, so that means a whole bunch more operating devices. Kate: So what's to stop a Sony or a Dell or Sky from replicating the Sling technology? I'm thinking of Tivo, the pioneering PVR company in the US which created a brand but which has been outpaced by me-too technologies. Blake Krikorian: The real core piece of technology that we've created is called Slingstream. People watch our video and say "Wow! How is it so smooth? There isn't a lot of re-buffering that I'm used to seeing with internet video." Our technology dynamically adjusts behind the scenes to whatever type of device it's streaming to - regardless of the rendering capability - depending on what type of content and what kind of network it's going over and what network conditions there are. When you think about streaming video over IP, think of it as a pipe and this pipe is constantly expanding and contracting, wreaking havoc on traditional internet video. Our software detects all this and adjusts dynamically and the video stays smooth. Kate: Can you protect that technology? Blake Krikorian: Oh, definitely. Of course, there is always a danger in this space of being dis-intermediated. People say that we do it [laughs]. Tivo is an interesting case. They have some core patents that are now starting to pay off. I do not want our company to turn into a patent and litigation company. That wouldn't be too interesting, I'd fall asleep at the wheel. I believe in convergence. One day, something's a product and the next day it's a feature in another product. So, could a Slingbox be a feature in a cable box or a satellite box? Sure. But, on the other had, could a cable box or a satellite box can become a feature in a Slingbox? Well, we are already that kind of box, we just don't have decryption software. I look at how best to deliver this technology to the consumer and if there are other partners we need to do that then we should work with them and our business model could very well change. It's all about innovation. Patents are one thing, but there is so much innovation left in us. Blake Krikorian: Let me answer that this way: There are large, established, multinational, multibillion dollar companies that find it incredibly difficult to take a product like ours and spread it across all their vertically integrated businesses. It didn't matter before that these companies looked like this because we didn't have convergence, but now things need to be tied together. We need to be really pro-active and great partners with these players. Could Slingbox become the Dolby of play-shifting? Sure. We just have to go with the flow from that perspective. Kate: Have you talked to Sky? Blake Krikorian: Sure, we've talked to Sky, but obviously I can't tell you what we discussed. I will tell you that we met some fantastic people there. In the UK, it's been amazing to me how well the product has done and that makes us interesting to a lot of players. Kate: So what if people sue you for taking their content beyond where they originally sold the subscription? For example, if you have a Sky+ subscription in the UK, but you sling the programme to Cairo where you've gone for business. Blake Krikorian: I say two things: we haven't been sued yet and we're giving the consumer the ability to watch the programme that they've already paid for wherever they happen to be. Just like you run a scart cable from your set-top box to your TV in your house, we are giving the consumer a virtual scart cable that they can run 10 feet, 10 miles or 10,000 miles. So what's the harm? Can you imagine the consumer backlash if a company said you've paid for this programming, but if you take one step out of your door you can no longer watch it any more. Will people be arrested for stepping outside their house and watching their TV through the window. No one is stealing anything. John Malone (the head of Liberty Media), who is one of our investors, puts it best. He says that when the US cable industry started, it was accused of stealing broadcast signals and putting them down pipes to get to rural areas where antennae couldn't reach. Slingbox is just continuing where the cable guys left off. We start at the set-top box and we run virtual cables to the consumer wherever they happen to be over the home network or the internet. It's the same thing. Kate: What about people taking the content and mashing and mixing it or sending it to their friends? Blake Krikorian: You can't do that with Slingbox - it is only permitted to stream to one device at a time. So you can only have one slinging session at a time. It can be frustrating for me personally if I'm travelling and I go to log in, and my wife on the laptop in my house is watching it already. So I've just added a new feature into the last build of Slingbox called the "Cathy feature", named after my wife. Basically, you now have an administrator password and that means you can kick off somebody else who is on it. My wife doesn't know about this feature yet, so she'll call me sometimes and ask why the Slingbox isn't working [laughs]. Seriously, the one-to-one feature is very important. It's also one device at a time. I can't watch both on my work PC and my phone at the same time. You can never say that something is 100% hack-proof because nothing on the planet is, but no one has hacked it so far. The messaging between the client device and the Slingbox is all encrypted. The thing that the content companies are most worried about is that people will share with 1,000 of their closest friends at one time and that we don't do.